State Minister for Labour and Employment Md Mujibul Haque Chunnu on Saturday urged the readymade garment workers who are on a movement against the minimum wage board structure to join their work from December 17. He said the problems, if any, over the new wage board will be resolved through discussions in January next. The junior minister said this while addressing a meeting of Crisis Management Core Committee at the secretariat on the ongoing crisis over the new wage board. The garment workers of Narayanganj, Gazipur and Ashulia have been demonstrating for the last several days protesting the 'discrimination in grades of the wage board' which has been declared by the government recently. 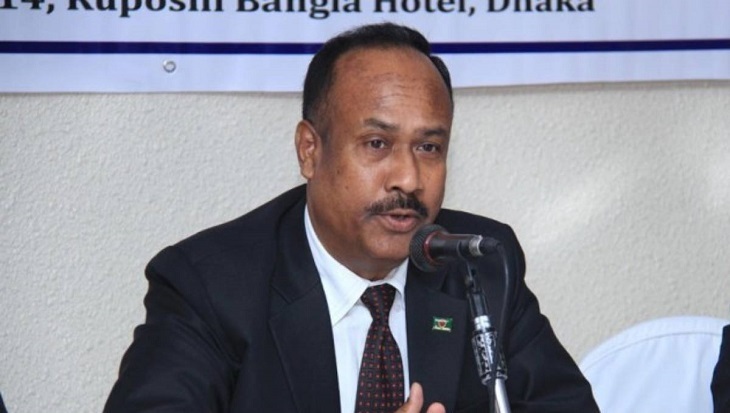 After the declaration of the wage board, Mujibul Haque said, a misunderstanding has been created among the workers over the grades of the wage structure. It will go when the workers will receive salaries as per the new structure in January, he added. Chunnu also asked the garment factory owners to give the workers a clear concept about the wage board and urged them to create a cordial relationship with the workers.